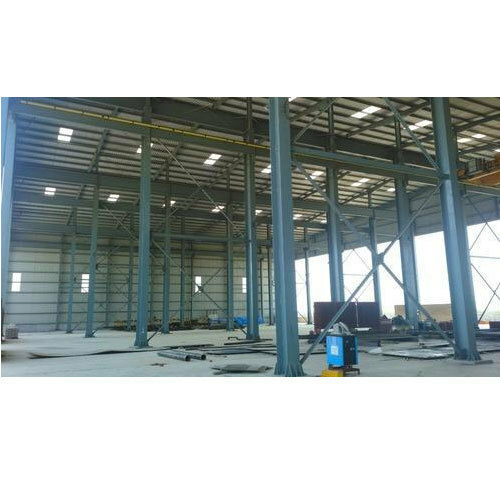 According to the customer’s requirements, we are involved in rendering Godown Fabrication Service. Goad design and secure fastening systems ensure the security and weather tight performance of coated steel roofing during extreme weather Coated steel sheet is fire resistant, with many insurance companies offer lower premiums as a result. Established in the year 2014 at Hyderabad, Telangana, we “Siri Peb Building Systems” are a Sole Proprietorship (Individual) based firm, engaged as the manufacturer of Metal Shed, Pre Engineered Building, Prefabricated Structure, Prefabricated Metal Building and Aluminium Roof Structure. We offer these products at competitive prices to our respected clientele within the definite time period. Moreover, we also render Fabrication Service. Under the supervision of our mentor “S.Ramesh Naidu (Manager)” we have attained a tremendous position in the market.